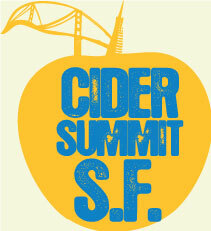 The 3rd annual Cider Summit San Fransisco will be held April 23, 2016 from 12:00 p.m. – 5:00 p.m. at the Civil War Parade Ground in the Presidio, adjacent to the Main Post. Cider Summit SF, put on by SBS Imports and the Seattle Beer Collective, celebrates local, regional and international artisanal ciders and cidermakers. Cider Summit SF is presented by Whole Foods Market, along with supporting sponsors including, Upcider Gastropub, KRAVE Jerky, Oregon Fruit Products Co., Wag Hotels, KIND Snacks, BART, and Morris Distributing. As in years past, Cider Summit SF will feature leading cidermakers, including dozens of cideries from California and ciders from over five different countries and over five different states. In addition to enjoying sips from the various cideries, Cider Summit SF offers guests the opportunity to meet with the cidermakers who will be on hand to inform and guide guests through the tastings. Specially paired food selections will also be available for purchase from vendors including Slow Hand BBQ, Whole Foods Market Truck and other assorted small bites. The event will also feature a “Dog Lounge” hosted by Berkeley Humane & Wag Hotels, as well as an event store featuring Cider Summit SF t-shirts and other merchandise. For the first time at the Bay Area event, Cider Summit will include cider cocktails prepared by Upcider, other selected cideries and a guest appearance from a prominent distiller. Another new feature at the 2016 event will be the Fruit Cider Challenge sponsored by Oregon Fruit Products. Several participating cideries will produce pilot batches specifically for the event. Consumers will vote for their favorite during the festival with the winner of the first annual Fruit Cider Challenge announced at the conclusion of the event. Cider Summit is committed to working with the community and various non-profit organizations. A percentage of tickets sales from the event will support the following charities: The Institute for Myeloma & Bone Cancer Research, Berkeley Humane, and the California Cider & Perry Association. For the full lineup of cidermakers and ciders available for tastings at the event, visit: cidersummit.com and stay up to date on additional details on Facebook and Twitter #CiderSummitSF.